Your astrological sign just might dictate how you should spend your spring break. This spring break marks the commencement of a new zodiac year, beginning with Aries. For most, that means reflecting and preparing for a new start. Be wary though, because Mercury is in retrograde (meaning the planet appears to be moving backward in the sky) which messes with communication and logic, throwing each sign off balance, but affecting some more than others. Keep reading to find out what the sky has in store for your break! As the first sign in the zodiac, you are eager to jump into new adventures whenever the opportunity may arise. Use this break to your advantage, but be cautious. Do not hop into things too quickly or you may find yourself regretting the consequences. Instead, use this time as a period of reflection to clean out the old and make room for the new. Take a few moments to ponder exactly what/who in your life will help you move forward, and what has been holding you back. With the sun transitioning into your sign as break approaches, this is the ideal moment to create the space for a fresh start! You are known for your stubborn nature and strong personality. Resist your need for structure and routine as spring break rolls around, and try to escape the focus on school and work. Taurus, you often take on the weight of the world, fight the urge to fill your calendar. Distancing yourself from commitments and stress will revitalize you. Allow yourself to relax and try to find a way to unwind through your creative side. Maybe dive into a good book, make some art, or listen to your favorite music. It will be difficult and you will want to push back, but ditching the old habits will put you back on the right track. Gemini, Mercury is your ruling planet so this retrograde especially affects you! These past few weeks have probably been a little wacky. What a flawless time for a break. As Mercury’s retrograde wraps up, focus on yourself. Take a bubble bath, go to the gym, let out any weird energy that the past two weeks have brought in. On Wednesday, Mercury is in station, or appears to be stopped in the sky, and station days have the biggest impact because the planet then moves in the opposite direction. These are pivotal days, especially for Gemini, so be prepared and don’t make any life-altering decisions at this time. Mercury finally starts moving in direct (forward) after Wednesday so you can expect things to return to normal and begin to ease your way back to your regular systems. Use break to get in tune with your emotions. As a water sign, this is natural for you and shouldn’t be too stressful or difficult. 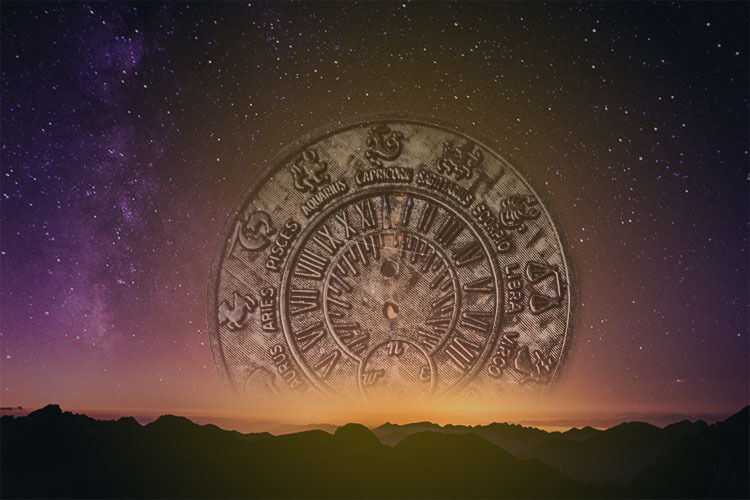 Take time to meditate and as the new zodiac calendar begins, clear your head and take advantage of this fresh start. It’s the perfect time to chill with family and keep things low key. Catch up on anything that you may be behind on, and get ready to push through challenges until summer rolls around. This time can lay a solid foundation for the rest of the school year; use it to rejuvenate and prepare for some hard work that the next couple of months will throw your way! Leo, this Spring Break nothing should be holding you back! Go out and socialize. You may struggle a little more than normal to be your usual outgoing self, but as the days go by you’ll find it getting easier, as long as you keep being yourself and avoid getting frustrated. At the beginning of break it would be most beneficial to take it easy and hang with your loyal crew, but later on in the week feel free to branch out. Try reconnecting with old pals or starting a friendship with someone new. Do your best to stay out of any drama, no matter how hard it may be, because it will result in a much more enjoyable break. Like Gemini, Mercury is your ruling planet, so this Mercury retrograde may have you in a funk, especially in regards to relationships and communication. Take a step back from those things and focus on something to lift your spirits! Hang out with friends, pet your cat, or do some gardening! All will be well after Wednesday, when Mercury begins its move out of the retrograde period. As your planet transitions, feel free to move with it, and slowly work your way back into a rhythm. Take some time to find your way back to your comfort zone. You can chill out as Mercury returns to normal and ease your way back into more consistent connections and conversations. Social Libra, you are going to want to use spring break to hang out with friends. Use this time to do what you do best. Go out and let your hair down! At the moment you’re in the optimal position to put yourself out there and make some much needed changes. Utilize your organizational skills to start a new project or use your outgoing personality to broaden your social circle. You Libras can never have enough friends! The sky is in your favor over break, so take advantage and be sure to not doubt yourself. Jump into the new year headfirst. Scorpio, now is your time to go on an adventure. No commitments should be holding you back, so take that road trip to the mountains, do that fun photoshoot you’ve been planning, take the light rail downtown with some friends to explore. You have all the freedom right now, and no school or assignments in your way. Make sure you spend this time with people that you know have your best interest at heart. As long as you continue to be yourself you will attract these people, and the rest will fall away. This break is your chance to let loose and live your very best life with the very best people around you! Right now it may feel like you are putting extra time and energy into friendships and relationships, which can be overwhelming. While you may not be feeling the love in return, keep your head up (as you always do). Be patient with your pals and eventually things will sort themselves out and you, along with these relationships, will be better off. In the midst of your gracious generosity, don’t forget about yourself. Take time to care after your own needs and have fun on the time off! You are naturally a workaholic, so embrace this trait. With all of this extra time on your hands you can catch up on any missing assignments, put in some extra hours at work, or take some time to practice your favorite sport. Be sure not to procrastinate, so you can feel accomplished when you get those things done. Capricorns, just know when to stop. Remember, this is spring break after all. Have a balance between your work life and social life. Take an intermission to go out with friends, or even focus on yourself. Some rest and relaxation can be necessary even when you don’t realize it, and you will thank yourself later. While some think you have your head in the clouds, you are truly deep in thought. Let your original and imaginative side run free this break. Now would be the time to indulge in a new project, something you are passionate about. Get creative! Whatever you decide to do, do it with your favorite people. Maybe take a road trip with your closest friends or cook dinner with your family. Don’t forget to tune into your intuitive nature and take time to yourself to meditate and clear your mind. This is your time to take a deep breath and embrace life around you. While for the rest of the signs this time is used for a new beginning, you need the opposite right about now. Pisces season has wrapped up, and with it, you need closure. Don’t be afraid to say goodbye to those hindering your success, or to let go of unnecessary belongings. A deep spring cleaning should be in store over your break, and if it no longer sparks joy, you no longer need it in your life. A mental cleansing can be just as beneficial as physically cleaning. Reset your mind and get ready for the rest of this school year. The best way for you to start fresh is by peacefully leaving the past in the past.